When medical practices are not bringing in as much revenue as they should, this is a crucial sign they should switch to outsourced medical billing services. In-house staff can make data entry mistakes on claims, resulting in ineffective billing. Outsourced medical billing services is a convenient solution for businesses that want to increase the efficiency of their whole healthcare revenue cycle management. Providing accurate billing and coding, outsourced employees deliver consistent performance to increase a practice’s percentage of billings. Trained staff will manage administrative duties while medical professionals focus on taking care of their patients. The work involved with medical billing is not easy when practices take into account the added pressure of bringing in revenue needed for operations while dealing with difficult or uncooperative patients. This could result in a high turnover rate for in-house medical billing staff. Outsourced employees can expertly handle all aspects of medical billing while interacting with patients and clients as an extension of a practice. Offsite staff maintains high-quality work while costing less than the high salaries that are usually paid out to in-house employees. 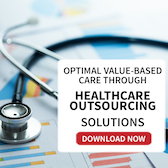 As another benefit, professionals can also save hours on hiring and managing their medical billing employees because outsourcing companies are experienced in choosing the right workers for individual practices. For practices just starting out, it may be difficult to try to navigate the complexities of medical billing and coding. 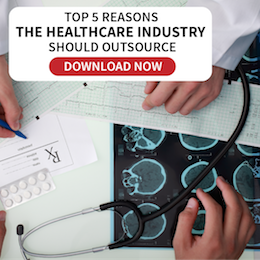 Hiring an outsourcing company can not only reduce the labor costs that are involved with building an in-house billing department, but also help medical professionals concentrate on growing their business. 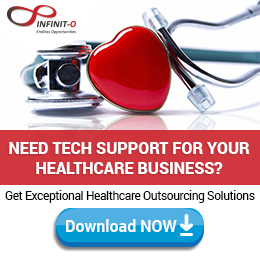 They can rest assured that outsourced companies will hire qualified staff who will take care of daily responsibilities like claims processing without having to lose control of their healthcare revenue management cycle. Client and patient data is protected and as an added bonus, these companies can provide reports to improve the success rates of revenue management cycles. Amazing article! Thanks for enhancing our acumen on medical billing.